Fish Addicts is a family run tropical fish store located in Langley, BC. From basic community fish to monster fish keeping. We carry a wide array of both tropical, cold water and saltwater fish, corals, plants, invertebrates and supplies. We Got Cichlids Galore! We carry a larger selection of cichlids than any other retail outlet in British Columbia. 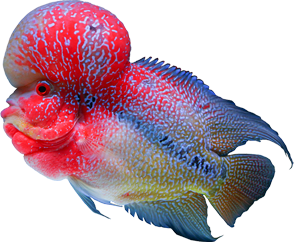 We have a vast amount of experience in breeding of community fish, cichlids, and exotics such as Red Bellied Piranhas. Yep saltwater fish as well! Clowns, tangs, lionfish, angelfish, eels, and many fish types you have never heard of. Stop by and see what's currently in stock. Eric the owner is a fish nut! Rumor has it that he started with his first tank when he was in diapers. Yep, that's a lot of tanks. But we are planning on having 1000 tanks by the end of 2018. Have a plant that is overgrowing in your aquarium? We take your plant cuttings and you earn store credit. Stocking both fresh and saltwater, we have the largest selection of fish in BC, and second in Canada. We gladly accept healthy trade ins on problem fish or if you just want to change things up. We buy and sell gently used aquarium equipment. Ask us about what your trade in is worth. Our goal at FISH ADDICTS is to provide the beginner as well as the experienced hobbyist with an unparalleled selection of fish, plants and customer service. We want to become the number one go to aquatic pet store in the nation! Join our mailing list and learn about about new deliveries, products, tips & general advice!